And about 10 seconds later I got a bunch of twitter followers asking if this meant Owens is going to sign with the Dolphins. From what I can see, many of Owens' own followers recognized the same possibility and asked him if he's coming to sign. Anyway, I cannot confirm for you the specific reason Owens is coming to Miami. He has a place here, I know that. He often trains down here. I wouldn't be necessarily opposed to adding his talent to our roster, but I don't see how that would help the development of our young promising receivers, nor do I see that helping our team chemistry much. He certainly has talent, but he also has a knack for dropping the ball a lot. While the guy still have the physical talent to be a dominant receiver, I question whether or not he still has the drive to live up to his potential. I don't see the fit, especially when you factor in all the hype that would come along with TO. Pro Football Focus compared the different positions in the AFC East and they think our wide receivers are fine as they are. I think adding Owens will hinder the growth of our young receivers. Plus, I doubt that Tuna would allow "The Player" to come here. Jeez..can't the guy make ambiguous plans via twitter without media speculation? I'm with you guys, this one probably won't happen for more reasons than I can count. But if it did go down, what a pair that would be! 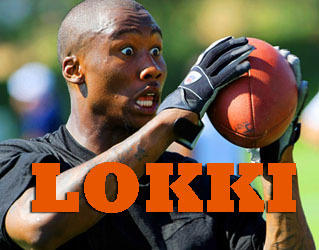 Yes TO is nearing the end of his career, but with Brandon Marshall drawing all of the double teams he would be wide open all day. It's an interesting idea, too bad it will probably not happen. Yeah don't think this story has any legs to walk with. Anytime a famous person tweets something people make a big deal out of it. His tweet was just to let ppl know that he was coming down there and to get ready to party or something like that.